Forget about witches and zombies; a seemingly innocuous bag of candy can be one of the scariest things that enters a dog owner’s home on Halloween. Calls to the Pet Poison Hotline increase twelve percent during the week of Halloween, making it the center’s busiest time of the year. We all know that chocolate can be deadly to dogs, and other ingredients in candy, such as high amounts of sugar and fat, can also cause severe issues for our pups’ health. If a candy is sugar-free, it may contain a sugar substitute called xylitol, which is extremely toxic and deadly to dogs, even in small amounts. So what do you do if you find Fido with crinkled, half chewed chocolate wrappers strewn in his wake? This may seem like a difficult task, given all of the torn up wrappers. However, finding out what your dog ate and how much can help determine what care your pooch needs. Different chocolates have different levels of theobromine, the chemical in chocolate that is toxic to dogs. If you have calculated that your dog is close to this level, get them to the emergency vet as soon as possible. If your dog is on the lower end–say ten and under–keep a close eye on them for further symptoms. Even if they just consume a little bit of chocolate, contact your vet to make sure you are taking the correct steps for your particular dog given their needs. 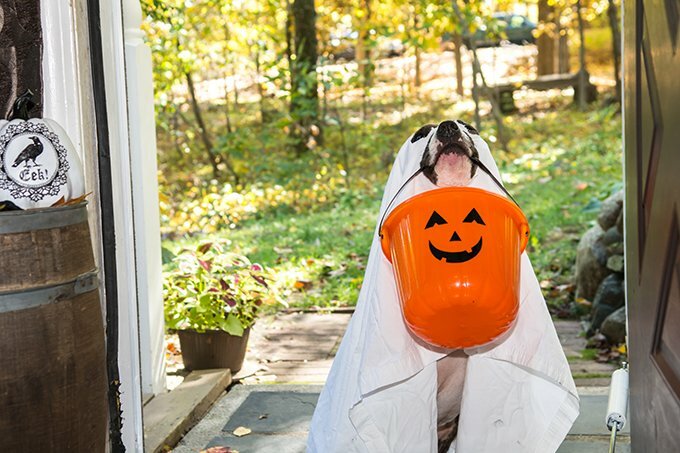 Not to add more spook to this story, but your dog may eat some chocolate or other candies out of your sight and you may not be able to calculate their toxicity level. Knowing the symptoms and signs of chocolate or other poisoning in your dog will help you and your vet determine what the best course of action is. Signs of chocolate ingestion and possibly toxicity include vomiting, panting, diarrhea, agitation, increased thirst, and in severe cases, seizures. Dogs are indiscriminate when it comes to what type of candy they want to get their noses into. Large binge-eating sessions of foods high in fat and sugar can lead to pancreatitis in dogs. This is an incredibly painful experience for your pup and can lead to even more complications, such as kidney failure or other organ damage. Unfortunately, the more severe symptoms of pancreatitis may not show for two to four days after the candy binge. Keep your eyes peeled for abdominal pain that comes along with a gentle belly rub, vomiting, diarrhea, and a severely decreased appetite if you think Fido has gotten into something super sugary and contact your vet. 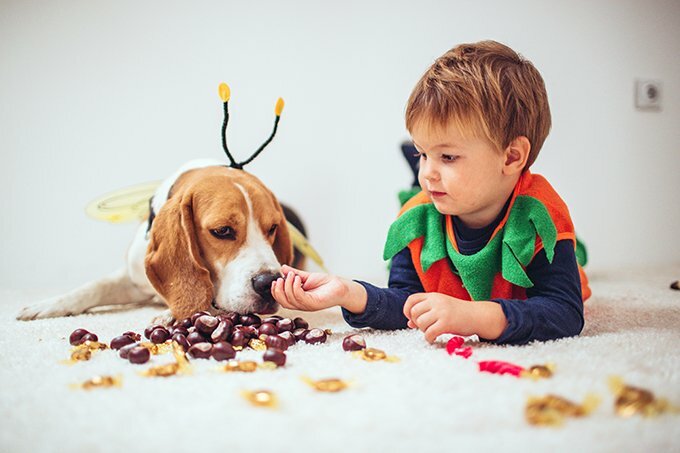 It may be terrifying to think that a little bit of candy can do this much damage to your beloved dog, but it is reassuring that most of the time, this can be avoided. 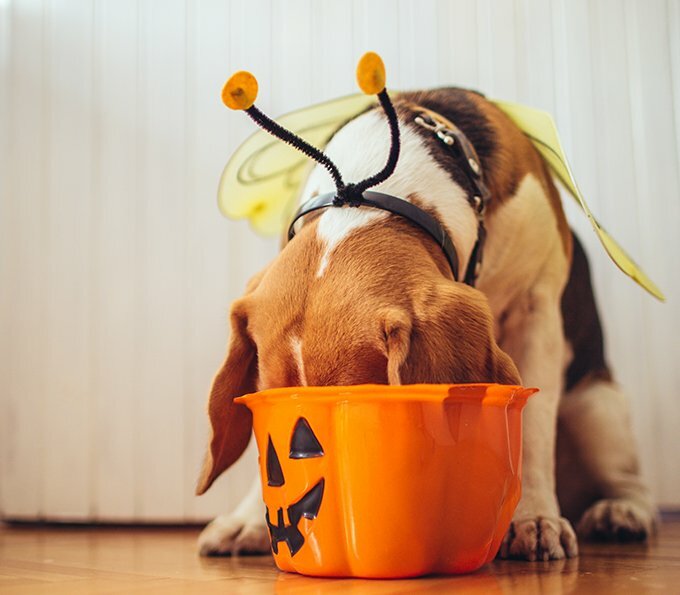 If you are handing out Halloween candy, keep the bowl up in a high spot where your pup cannot reach it or knock it down. If you have children who are trick-or-treating, be sure to explain to them the seriousness of not giving your dog any candy and keeping it out of his reach. Also keep your trash on lock so he cannot dig into a bunch of wrappers, which can also cause severe indigestion. On days with high candy traffic, be sure to give your pup lots of exercise and a nice meal so he will be content instead of curiously sniffing around for some eats. Prevention is key. As with any dog medical question or potential emergency, be sure to contact your vet with any pet specific questions you may have. Look up the nearest emergency vet in your area and have their number on hand, not only for candy overindulgence, but for any other emergencies that could possibly emerge in the future. 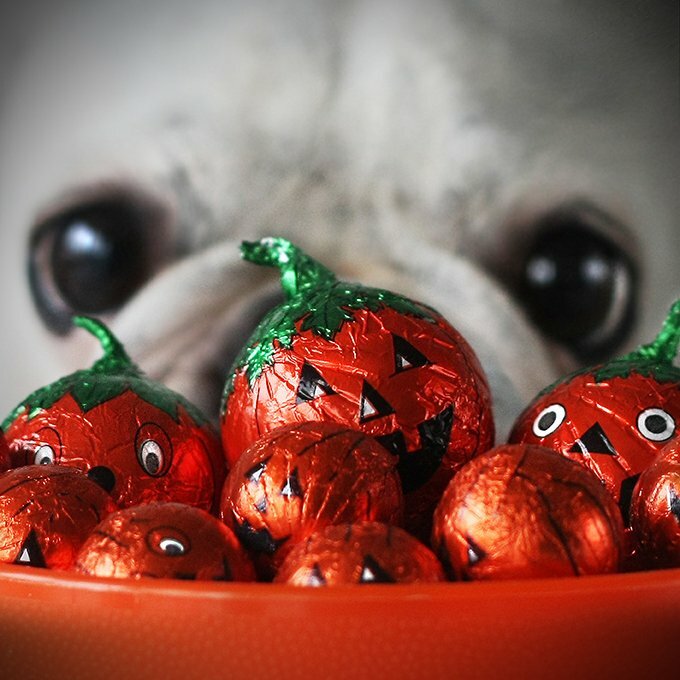 Has your pup ever gotten into the Halloween candy? How did you treat them? Let us know in the comments below!